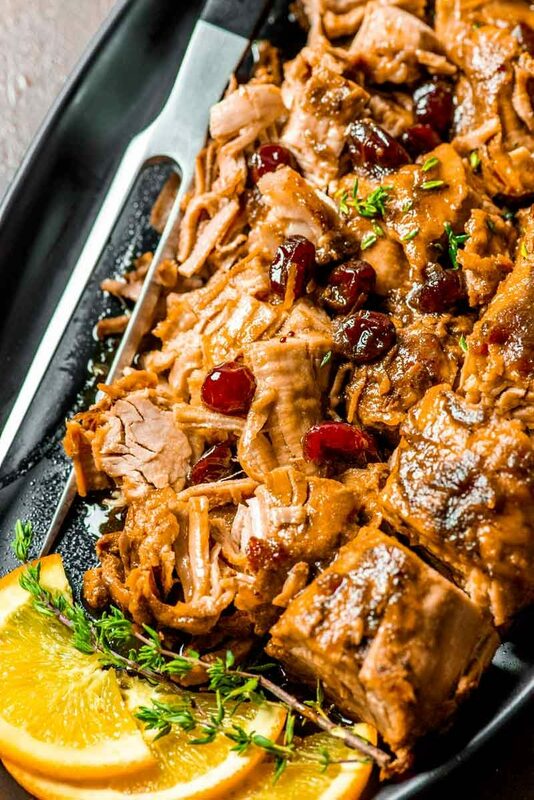 Ultra tender and flavorful crock pot cranberry pork loin is slowly cooked in a citrus cranberry sauce, making it an easy dinner for any cold weather holiday. 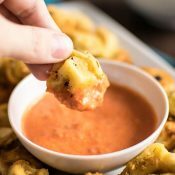 Holiday dinners are the most hectic time of the year, and I’m always down for whipping up recipes that won’t monopolize the oven. 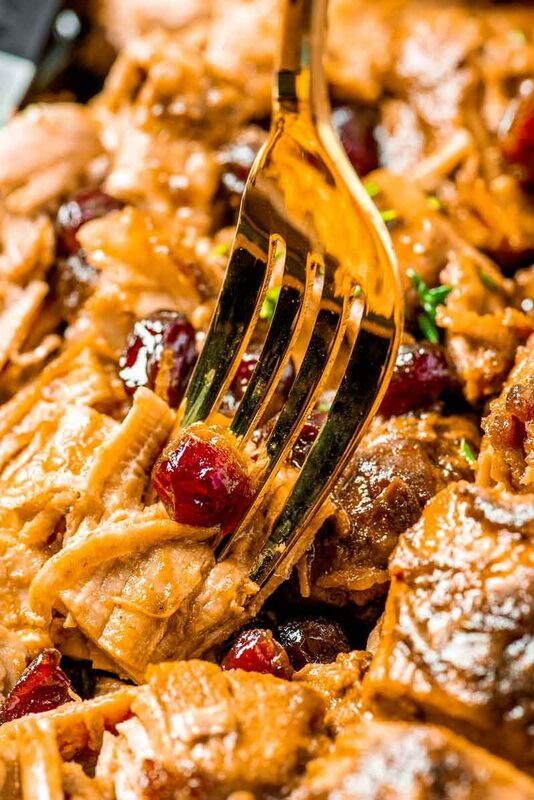 So, naturally, I love utilizing our crock pot as much as possible, and this crock pot cranberry pork loin was no exception. 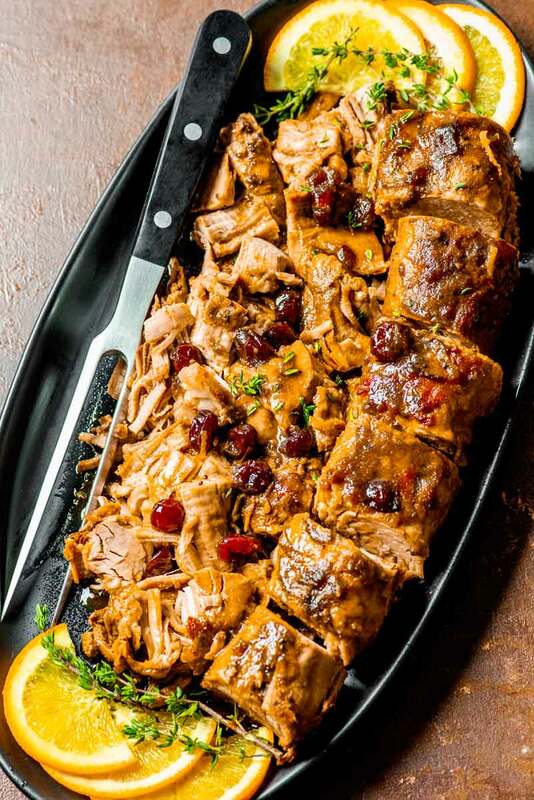 It has all the flavors of fall (orange and cranberry) marinated within tender, fall-apart pork loin. Plus, it’s ready within six hours (even when cooked on the recommended “LOW” setting) and, of course, the leftovers are delicious for days. 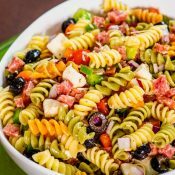 This recipe recommends cooking on LOW for four to five hours, and even though it’s easy to adjust the cook time for HIGH (typically this would be half as long as LOW), I highly recommend sticking to the LOW cook time. 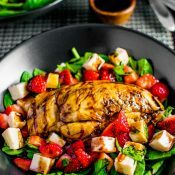 The beauty of this recipe is how the meat marinates while cooking, and you lose some of that when the cooking time is sped up. The pork loin will be cooked the same on HIGH as it is on LOW, but it will be far more tender and flavorful when given the extra time on LOW. 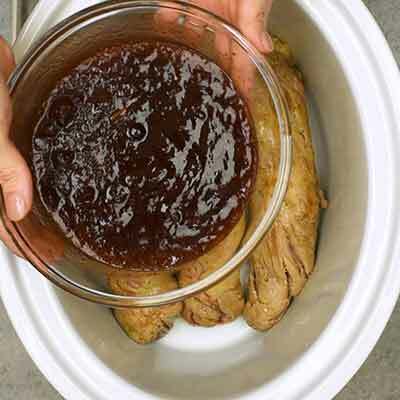 Can you overlook pork loin in a crock pot? When pork is overcooked, it typically becomes dry, tough, and chewy. This can be hard to accomplish with a crock pot, especially if you’ve managed not to peek and kept the lid secured while looking, but too much time in a crock pot can still ruin your meats. Moisture will eventually escape and the meat will begin to dry out, particularly for the pieces that sit above the line of any gravy or broth. So once the cook time has passed, avoid leaving the meat in the crock pot, even if you’re just using the “warm” setting. How long is pork loin good for? 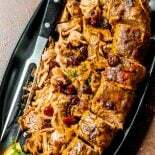 Once cooked, this cranberry pork loin can be stored in a sealed container in your refrigerator for up to three to four days. Can you freeze cooked pork loin? For quality purposes, I’d recommend freezing the pork loin whole, without cutting, in freezer bags or a sealed container. Cutting the pork (and especially storing the pieces in individual containers) will reduce the surface area, making the pork more prone to dryness from freezing. Once frozen, pork can typically last up to six months. When ready to eat, allow the pork to thaw in the refrigerator overnight. 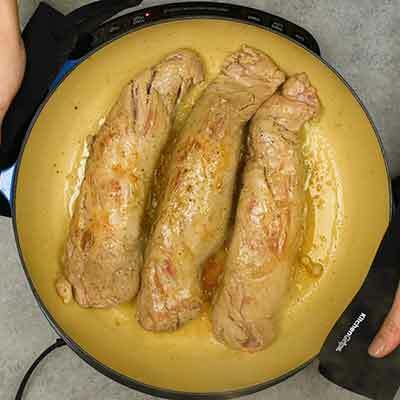 Pork loin can be warmed up in the microwave or in your crock pot on the WARM setting for 30-45 minutes. Can you use homemade cranberry sauce instead? 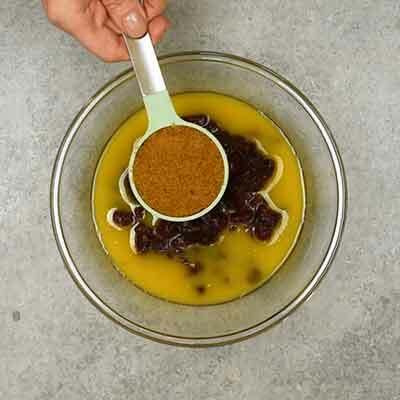 If using your own cranberry sauce, completely exclude all of the sauce ingredients (cranberry, orange juice, brown sugar, orange zest, cloves) and use up to three cups of your chosen sauce. 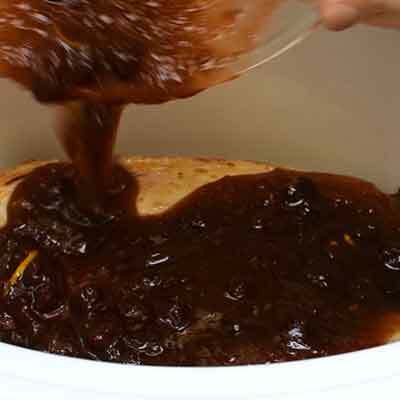 For best results, the cranberry sauce should watery like it is in the video. So, depending on the thickness of your cranberry sauce, you may need to whisk in anywhere from 1/4 cup to 1/2 cup of water to give it enough moisture. 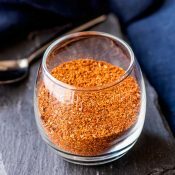 Even though this pork loin is flavorful on it’s own, it can be paired with just about any classic side dish. 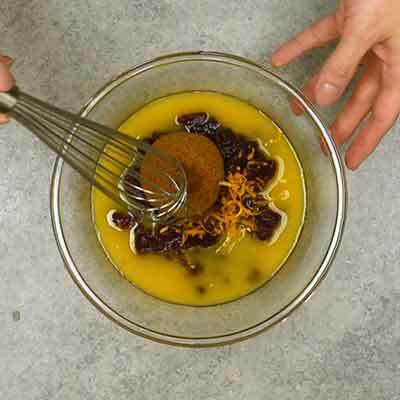 Step 1 – In a medium bowl, whisk together the cranberry sauce, orange juice, brown sugar, orange zest, and a pinch of cloves. 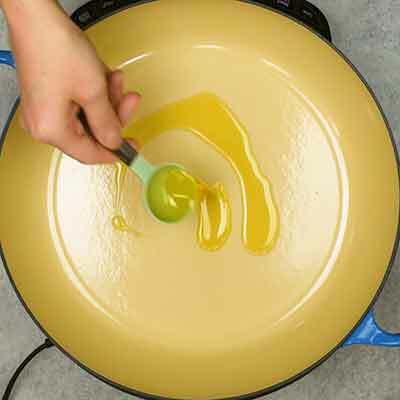 Step 2 – Heat some olive oil in a large, wide skillet. Season the pork loin with salt and pepper, then sear all of its sides. You can make the sear as golden brown or as dark brown as you like, so long as all sides are opaque. As you can see in the pictures, I prefer a more golden brown sear. 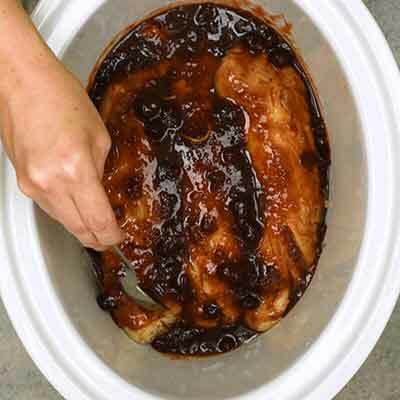 Step 3 – Place the seared pork loin in your crock pot, then drizzle the cranberry sauce on top. Use a spoon to move the sauce around, covering the pork as much as you can. Step 4 – Cover and cook! Step 5 – Serve with orange slices and thyme. Enjoy! 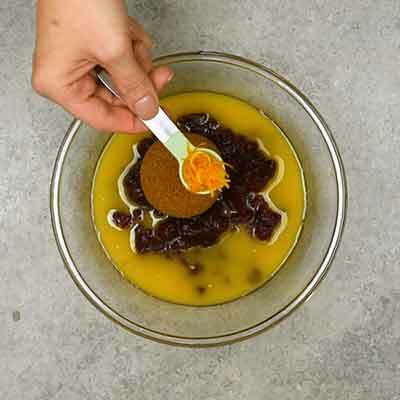 In a medium bowl, add cranberry sauce, orange juice, brown sugar, orange zest, and cloves. 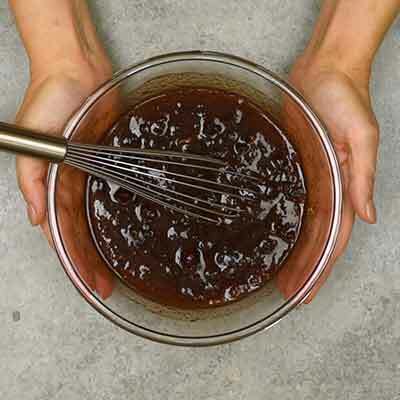 Whisk until all ingredients are thoroughly mixed, then set bowl aside. Heat olive oil in a wide skillet over medium-high heat. Add pork loin to skillet and season with salt and pepper. Sear all sides of pork loin until golden brown (or darker if you prefer) typically 2-5 minutes per side. 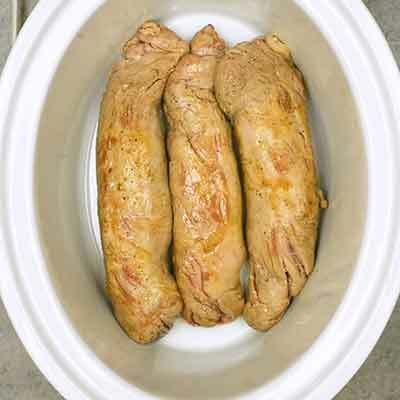 Place browned pork loin in the bottom of a 6-quart crock pot. Pour cranberry mixture on top, spooning sauce as needed so that it fills all the sides and between the pieces of meat. Cover crock pot and cook on LOW for 4 to 5 hours (or until a meat thermometer reads 145 degrees F). For best results, cook on LOW; however, if time is an issue, can be cooked on HIGH for 2 to 3 hours. 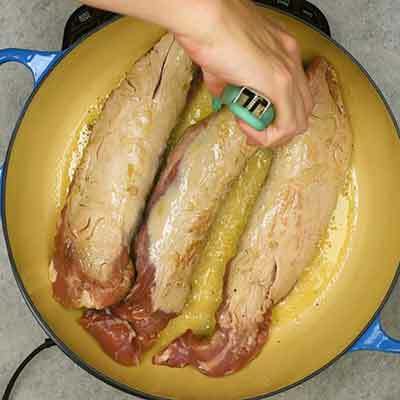 Transfer pork loin to a serving platter. Garnish with orange slices and fresh thyme (optional). Cover plate with foil and let sit 20 minutes, then serve. I purchased a pork loin from Costco and cooked it on low as directed, but it still turned out very dry and tough after four hours. I diced/pulled the meat and put it back in the crockpot, but it still looks nothing like the picture. What did I do wrong?